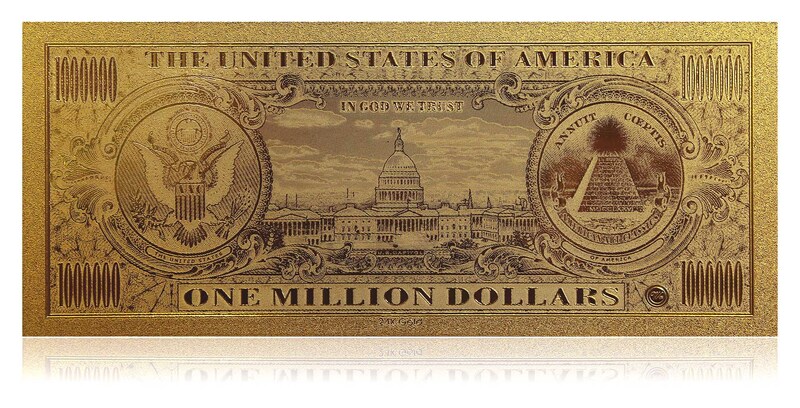 The 24K Gold Million Dollar Bill was created as a partnership between American Art Classics, Inc. and world renowned collectibles firm The Kensington Mint. 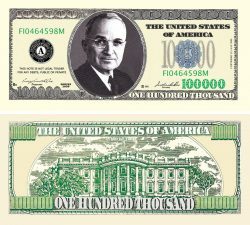 The focus was to create a truly one-of-a-kind banknote available to the general public. 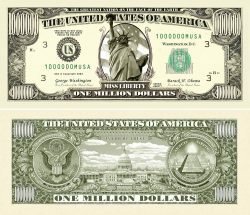 The Original Traditional Million Dollar Bill is the world’s leading example of a Financial Art Collectible. 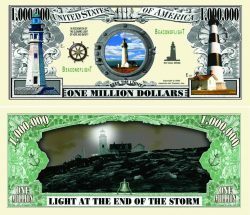 Designed and printed by American Art Classics, Inc. it soon became the largest selling Commemorative Million Dollar Bill Collectible in the world. The Story Behind It: How are they created? 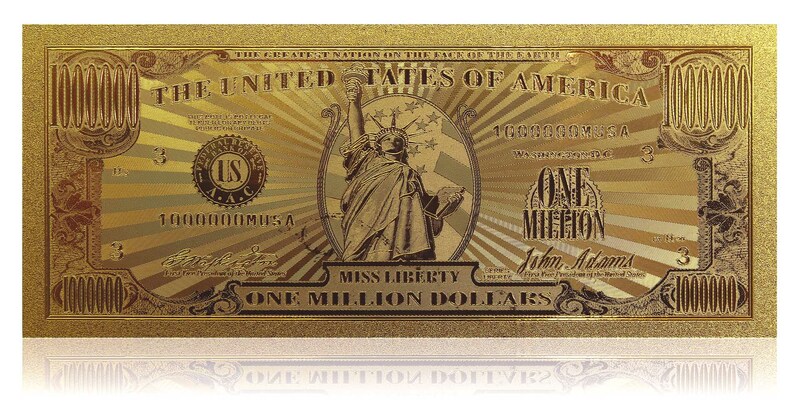 The process used to create the 24K Gold Million Dollar Bill is unique. 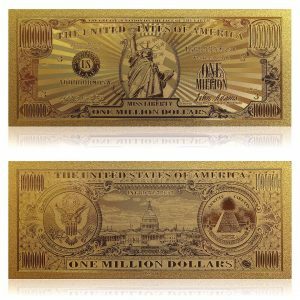 A steel plate is hand inscribed to create a detailed portrait in raised relief of the front and back of the Million Dollar Bill. This die is then used to strike thin sheets of paper-backed 24 Karat gold leaf. Each rendering is hot pressed on polycarbonate to provide durability and strength. The result is a dramatic, three-dimensional image in high relief. The mirror-smooth surface of gleaming gold shows every detail. The Specifics: – Each Banknote is Layered in 24 Karat Gold Graded 999.9 Pure – Enclosed in Collectors Quality Slab Currency Holder with Acrylic Desk Stand – Certified Authentic by Holographic Seal – The Ultimate Gift for Family, Friends, Clients and Business Associates. 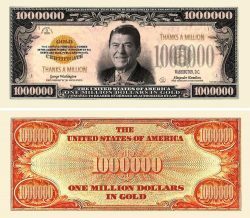 Gold Plated Currency Collectibles continue to appreciate in price and value every year due to their ongoing increase in popularity and demand by serious currency collectors and business people looking for the Ideal Thanks A Million Gift. The 24 Karat Gold Million Dollar Bill fits this category as it has a positive, long-lasting impact as an extraordinary gift for special clients, family members, friends and business associates . This results in an ever increasing value, due to its high quality, unique rarity and global popularity.